Shown here in Grey Avola has hidden depths to compliment many decor styles. With cutting edged curved doors, this combination succeeds whether at work, rest or play. 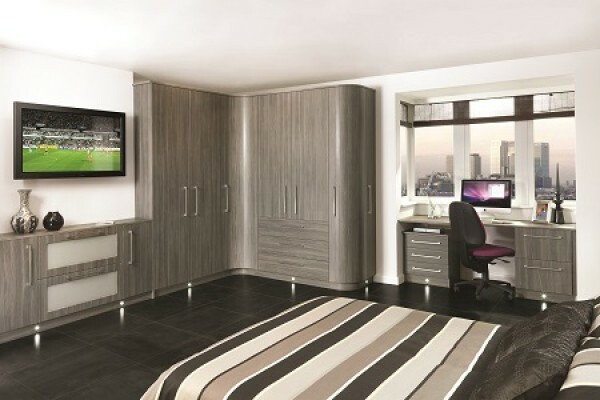 The Premier Range - Click Door For More Detail.